Granny had a morning in the garden, and I wanted to help. I was digging and found these worms. I thought fishing.... but then I thought I could keep them for a pet. "Hey Granny can I keep these worms for a pet." can you believe she said NO. They have to dig the garden. "Has she gone loopy, I can't see any shovels on the end of these worms." "Granny they can't dig the garden they haven't got a shovel." "Wilbur they don't need a shovel, they dig by eating the soil and it comes out the other end and it lets oxygen into the soil." "WHAT!!!!!". YUK!!!!!!. Have you ever heard of something so strange? Oh well, I sat down in a huff and I sure when pale with pain. I sat on a prickle. "Granny please pick me up quickly." She pulled the prickle out (of guess where) and sat me near the beautiful Jasmine. It really smells so beautiful, it made me forget about the prickle. I dreamed of some one. I do wish you could smell it. I would like to make a posy to send to a friend. I'm not saying who this friend is!!! I know she would love the perfume if it didn't die before it reached her house. Its Supper time with beautiful runny Honey and peanut butter on toast. 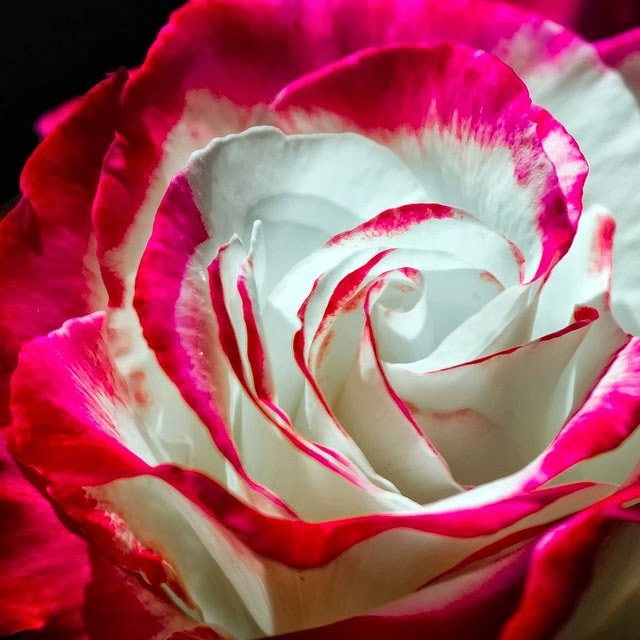 I'm sending all my followers this beautiful rose today, to say Thank You for following me. "Don't waste time looking at your hill,-climb it." Me? Oh Wilbur, I'm blushing, and I love Jasmine! Please be careful where you sit in the garden! I don't think those worms would make a good pet, do you think they know what love is? I honestly don't think so. Dear Wilbur , I love Jasmin, you and Granny must be glad to have a wonderful garden. But don´t bring Worms into the house, Granny must be going crazy with you. I´m back from Tuscany/Italy and here is it not so warm, I need warm clothes again. Oh my - I'm sorry to hear about your prickle but I'm glad you managed to forget about it with the flowers aroma. Say hello to granny for me and do let the worms stay in the garden just for good measure. Better let the worms dig the garden and make the soil good, so your beautiful jasmin can grow, dear Wilbur. And maybe you can pick just a few of the flowers, press and dry them and send them in a letter to... whoever you were thinking about (No names...of course not...). Thanks for your visit and you have noticed that we don't look at our hill but climb it instead! What a lovely garden you got meanwhile. It is such a joy to see spring develop. We still have around 30°C but nights are getting cooler. thank you Wilbur for the beautiful rose,it's so pretty. I'm sorry about your pricked....parts Wilbur. But Granny is right. Worms are very important in a garden. Besides, I think they would be rather dull pets, don't you think. Oh Wilbur, I am so sorry your tooshie was in pain. I've never sat on a cactus with prickles before. who were you dreaming about Wilbur? Oh my,,Prudence is so lucky. Mama said jealousy and envy are not good for those who have it so I am trying hard to learn to be a better bear. Yuk worms......they are very needful in the garden, but I do not like them. I love to work in the garden to. We just had a huge project completed: a new terrace! But I'm not suppose to sit there untill next spring. You're so lucky to get spring very soon. I love the scent of Jasmine too. Are you ok now? I'm still not fine...my doc made a big mistake and gave me pills which really made eveyrthing more worse than it should. All I now gotta do is to wait for October 15 and do a new blood test! But I go and climb that hill Wilbur!!!! I hope to pop into my studio and finish the little baby bunny I was working on in August. Hey Wilbur, who are you sending those flowers too? Could it be P......e? You soppy softie. Digging up worms is great fun, even if they do eat the soil.